Beaver Country Day School senior Zachary Herivaux has signed a professional contract with the Revolution. 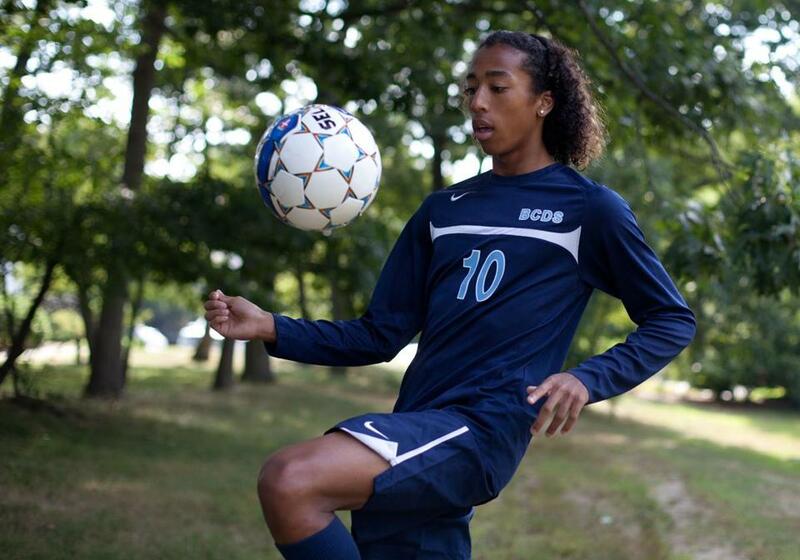 Beaver Country Day School senior Zachary Herivaux signed a professional contract with the Revolution and will begin training full time with the team Monday, according to multiple sources. Herivaux, 19, who played in two preseason games for the Revolution in Tucson, Ariz., is expected to be available for next Friday’s visit to Orlando City. The Revolution roster includes three players who have been designated with Homegrown Player status: Scott Caldwell, Diego Fagundez, and Herivaux. Like Fagundez, Herivaux is bypassing collegiate soccer. Herivaux, whose contract is worth about the $60,000 MLS annual minimum salary, plus education funds, committed to Providence earlier this year. Herivaux is expected to ease into the Revolution lineup, possibly in US Open Cup competition. The Revolution could play as many as three Cup games in June and July, and could also be losing Fagundez, plus Juan Agudelo, Jermaine Jones, and Lee Nguyen to international competitions. Herivaux, who plays as a holding midfielder or central defender, was born in Japan while his father, Pedro, was playing soccer there. Herivaux also played for the Shalrie Joseph Soccer Club in Brookline and is a member of the Haiti U-20 national team.